COMMENT | I am not really a fan of police reports lodged by members of the opposition because nothing ever seems to come of these reports but the recent report lodged by DAP members with regards to the prime minister’s speech at the recent Umno general assembly is an absolute delight. I do not think anything will come of it but it points to the hypocrisy and mendacity of the system where people are warned not to make “sensitive” remarks but the establishment is given a free hand to run down anyone it thinks is a threat to its hegemony. Segambut MP Lim Lip Eng exposes not only the mendacity of Umno but the hypocrisy of the whole system when he reminds people that if the lies of DAP being anti-Malay and anti-Islam were true, that would mean that the royal institution was complicit in collaborating with DAP in promoting an egalitarian and secular state. I really dig it when opposition politicians bring forth uncomfortable questions into our public spaces. For instance, if DAP were really anti-Malay and anti-Islam, this would mean that Penang is governed by a political party which is a threat to the Malay community and Islam but they do so without any sanction from the state which is supposed to safeguard both. Doesn't Umno care that the Malays in Penang are “bangsat” in their own lands? This would also mean that the royal houses in states where DAP enjoys support are complicit in supporting the anti-Malay and anti-Islam agenda of DAP. 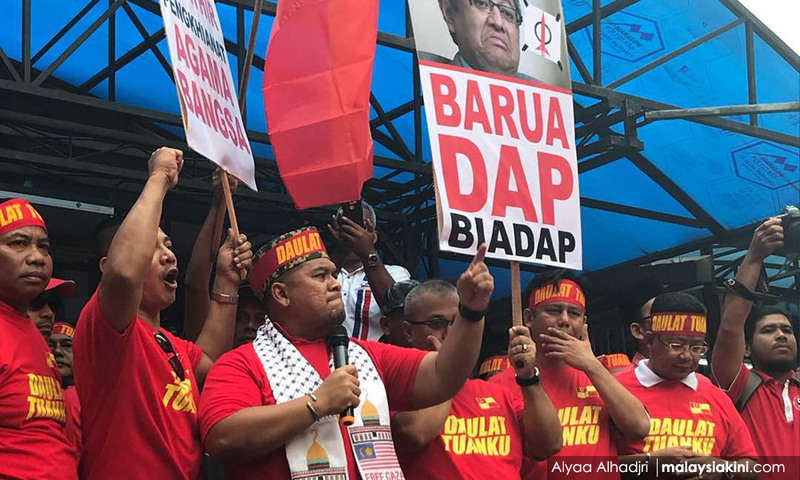 Is Umno really telling the Malay community that DAP and the royalty are conspiring with their anti-Malay and anti-Islam agenda? Is Umno really claiming that Penang is a secular state where Islam is not recognised and that the Malays are second-class citizens and that Selangor is abandoning those “Malay/Muslims” institutions that are there to safeguard the interests of the Malay community, the royal institution being the primary one?